Shaped in part by the construction of nearby Washington Dulles International Airport, Sterling, VA’s population rose dramatically in the latter half of the 20th century. With a close proximity to Washington, DC, this expansive NoVa suburb is home to many of the District’s commuters, and boasts a total population of more than 28,000. With 38 years of experience in the region, Thompson Creek Window Company® knows Sterling and the historic homes and buildings that define the community. That’s why Sterling homeowners trust Thompson Creek® for replacement windows and doors that maintain comfort, improve energy efficiency, and add beauty to their homes. From snow and ice storms to sweltering humidity, Northern Virginia is known for its range of weather throughout the year. One thing that shouldn’t range though, is how comfortable you are inside your home. Thompson Creek® windows are custom designed to keep heat in during the winter and keep heat out during the hotter months. They’re even AAMA-tested to withstand winds up to 146 miles per hour. Our replacement windows are some of the most durable and energy efficient vinyl windows on the residential market. They exceed 2018’s ENERGY STAR® criteria, helping to lower Sterling homeowners’ utility bills. Since Thompson Creek® windows are built to your homes exact specifications in our local Maryland factory, installation is hassle-free and won’t disturb your home’s exterior. We offer a variety of colors and styles to fit any Sterling homeowner’s aesthetic preferences. Just like our windows, Thompson Creek® replacement doors are custom-designed for your home’s style, and they’re among the strongest and most energy-efficient doors available to Sterling homeowners. Thompson Creek® doors exceed 2018’s ENERGY STAR® standards and meet the ENERGY STAR® Thermal Performance Qualification. 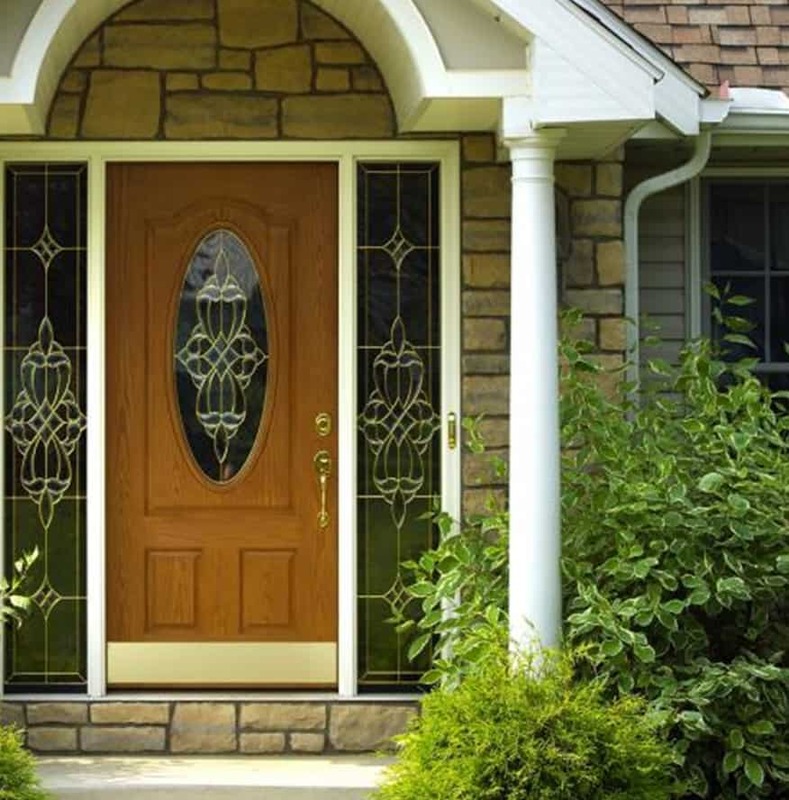 Our replacement doors come in a variety of colors, patterns, and panels, and we provide enough design options to match the aesthetic of any home. What’s more, our replacement doors offer a great return on investment. If you’re thinking about selling your home in the future, Thompson Creek® replacement doors provide a 101.3% return on the cost. The installation experts at Thompson Creek will install a roofing system tailored to your Sterling home’s specific needs. Our expert crews handle everything from pre-construction inspection to installation and service with a keen eye for detail, so you know the job will be done right, and you know who will be accountable to you for service. That’s why 97% of our roofing customers would happily recommend our roofing services. Contact us today for a free assessment and quote on your Sterling roofing project. If you’re considering starting a new home improvement project, turn to Thompson Creek® for top-quality, environmentally efficient replacement doors and windows. Contact us today for a free, no-obligation quote.